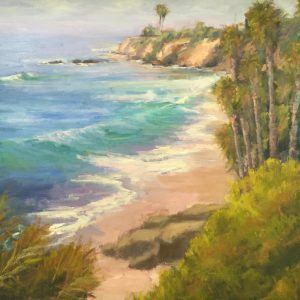 Impressionist oil painting of Malaga Cove, Palos Verdes, CA. I painted this scene on location a few years ago and this is a larger version of it done in the studio. 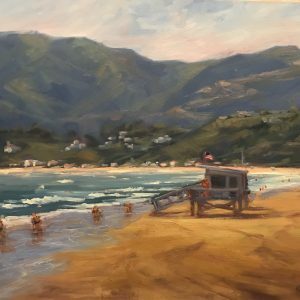 I am glad I painted it on location first because the direction of the waves and the way the white foam flowed back into the sea is very different from other surfs I have painted. This is a famous surfing spot because of the height and length of the waves. 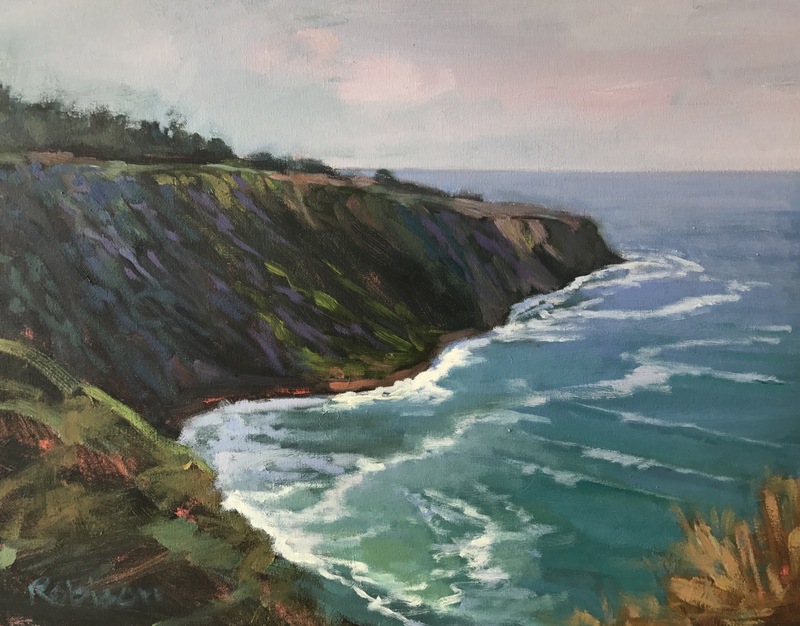 The colors in it are sea foam green, pthalo blues and greens for the ocean, and ochre and burnt sienna for most of the hillside. The focus of this scene is the waves and action of the white water. There is dappled light on part of the hillside where the clouds parted.